It can be difficult to know when to call a professional electrician — and it’s easy to understand why. Few of us understand the electrical wiring in our home, and what constitutes a big problem and what is something that you can put off or fix yourself. The fact is that no electrical problem is small enough to put off or ignore. At the same time, fixing it yourself isn’t an option either. Not only could you possibly do the job incorrectly — you could also cause more damage, or even hurt yourself. If you’re asking “when to call an electrician”, the answer is anytime you have a concern. Perhaps you don’t believe us yet; again, we understand why. But when you understand the concerns surrounding residential electrical repairs, you’ll see why they aren’t things to leave to chance — and in fact, trying to do them yourself is not only physically risky, but financially problematic as well. Below, we’ll discuss the ins and outs of residential electrical repairs, and the top reasons why you want to stick to the professionals, rather than handling these problems yourself. Hopefully, after this, you’ll understand why you should leave residential electric professional repairs to the professionals. Often, it’s easy to for us to ignore any potential electrical issues as long as our home is running — overall — smoothly. But the older your home gets, the more likely it will be to need some extra inspections and care. 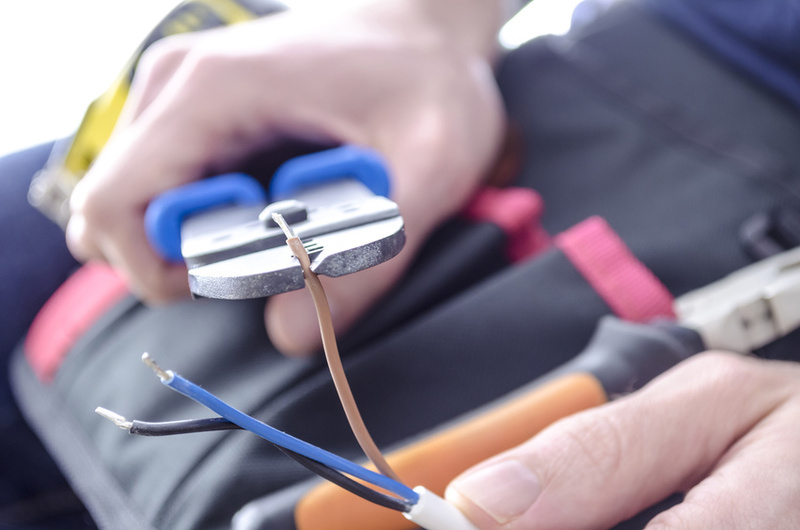 A professional electrician isn’t just there to make emergency repairs. They can also help you prevent further problems in your home. Yes; just like any other part of your home, your electrical system will need regular maintenance. The older your home is, the more frequent this maintenance might have to be. According to experts, a home 10 years or older should have electrical inspections, possibly with appliance replacements and major renovations involved. If an electrician notices problems early, you can stop them before they become big, expensive issues. It costs a little to have your electrician come and do maintenance — the long term cost of repairing major problems is going to be much higher. Don’t rely on yourself to notice problems. Call an electrician. Electricity is more dangerous than most of us would like to admit. It’s easy get caught in the crossfire when your electrical system fails. In 2011 alone, it’s believed that 47,700 home structure fires were linked to electrical malfunctions of some kind. Electrical fires pose a major risk to anyone living in a residential home. It’s estimated that 48% of non-confined home structure fires between 2007 and 2011 involving electrical failure or malfunction were the result of some kind of electrical distribution or lighting equipment malfunctioning. This is a major concern for electricians, and it should be for you as well. Electrical fires don’t just pose a threat to your wallet, though they’re certainly expensive to recover from. People die in these fires, and the more proactive you are in preventing them, the less likely you will be to fall victim to one. Having your electrical system regularly inspected can help you stay on top of electrical fires. And if you notice an issue with your system, call an electrician immediately. There are many advantages to having professional residential electrical repairs rather than amateur ones. For one thing, professional repairs are, as we’ve mentioned above, more effective. But what about the cost? You might think you’re saving money on electrical repair by doing it yourself. However, any damage you cause through mistakes will be another problem you must pay to have repaired. You also are likely to spend money on things you don’t need due to a lack of knowledge. A professional electrician is more cost-effective and much safer. There is really no way in which an amateur job is a better choice.